For our August visit to the shores of Geneva Lake in Southeastern Wisconsin we walk from the eastern shore of Williams Bay to the western shore, passing by the public beach and dock This is where, during summer, many lakeshore residents of the 19th Century and early 20th Century were met by their private yachts when they disembarked at the train station across the road. Many of the men worked in Chicago and at week’s end, took the train out to the "country" to spend weekends with their families. East is to the right and West to the left. The markings indicate many of the homes I've featured on this blog. You will see on the map that the lake vaguely resembles the shape of a leg and foot. The location of the town of Lake Geneva is in the toe and the inlet known as Williams Bay is the projection almost to the most western point of the lake. Last month we visited the home of E.B. Meatyard which sat the point the inlet that begins on the east side, and now we are heading across the norther border of the bay and up its west shore to the home known as Tre Brah. Relatively speaking, the home appears to be much smaller than many of the large mansions we’ve visited, but it’s owners more than make up for the size of the home. And in particular, the lady of the home, Elizabeth Boynton Harbert. taking place in the Midwest. A fact I found of great interest, since I’m a novelist, is that, in addition to her strong interest in women’s suffrage, she was also a novelist and penned three novels in her lifetime. She met her husband when he was a student at Wabash College in 1860. They wouldn’t marry until ten years later after the Civil War. 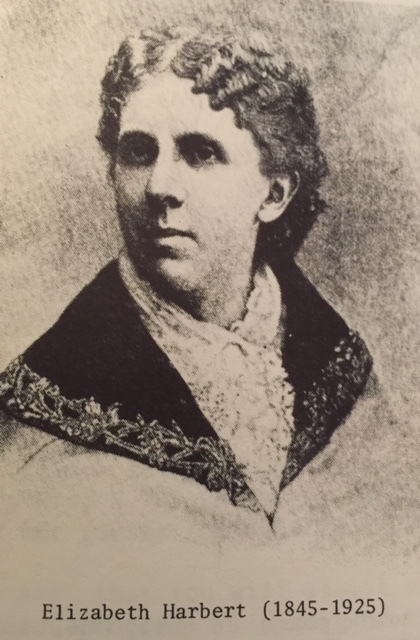 By the time of her wedding she had served as the vice president of the Woman’s Suffrage Association of Indiana, and when they moved to Iowa after the wedding, she became president of that state’s association, and lobbied hard for the state Republican party to include women’s rights in their platform. From that time forward she became a well-known name in Woman’s Suffrage and when her husband accepted a position in Chicago, the people affiliated with the movement in Iowa suffered quite a blow. Of course, once settled in Illinois she became involved in the Illinois suffrage movement. All the while, over the years she birthed several children. 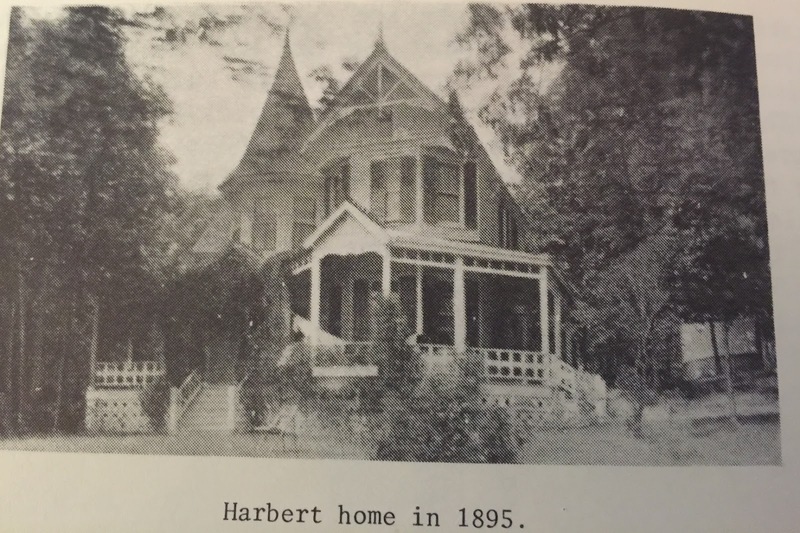 In 1874, the Harberts purchased the property on Williams Bay and built the home they named Tre Brah (their last name spelled backwards) and spent every summer there for 31 years. They entertained many guests at Tre Brah, including sorority sisters of their daughters and Mr. Harbert, who had a strong interest in intellectual conferences, hosted several of them at the property. You can read much more about this fascinating woman at the Boynton-Harbert Society website from which I drew some of this information. 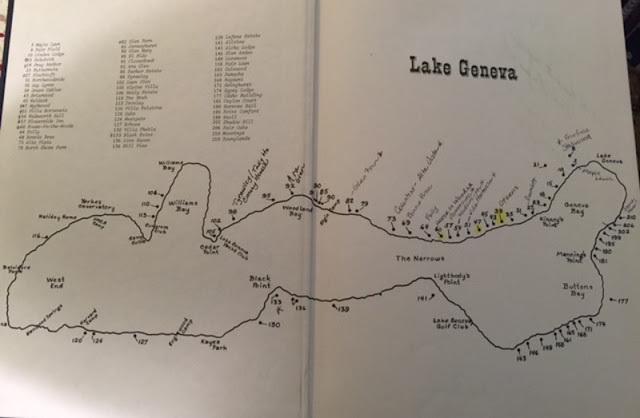 A broad variety of people were attracted to beautiful Geneva Lake, from back before the Civil War and right up until today.I am blessed to have grown up there and able to share these different home stories with you. A native of Lake Geneva, Wisconsin, author Pamela S. Meyers lives in suburban Chicago with her two rescue cats. 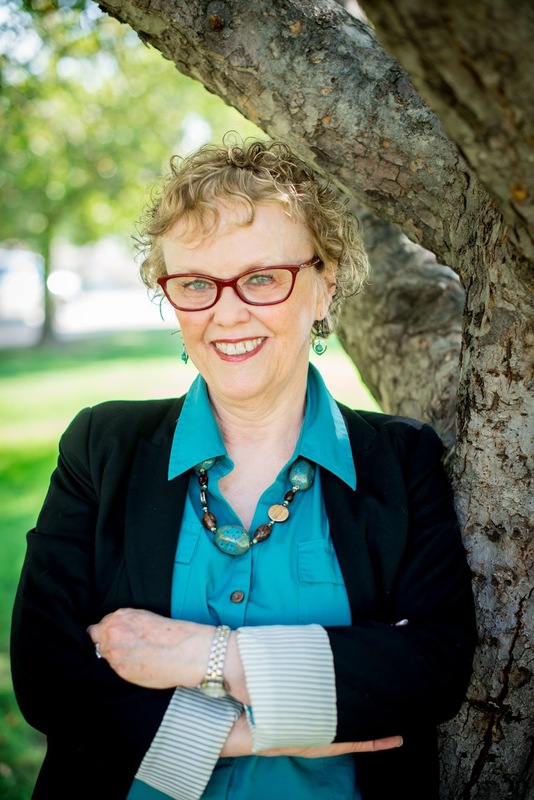 Her novels include Thyme for Love, which has recently been re-released on Amazon and her 1933 historical romance, Love Finds You in Lake Geneva, Wisconsin. Love is All We Need (the sequel to Thyme for Love) will release in 2016, and Second Chance Love from Bling!, an imprint of Lighthouse Publishing of the Carolinas, will release in January 2017. When she isn’t at her laptop writing her latest novel, she can often be found nosing around Wisconsin and other Midwestern spots for new story ideas. I really enjoy learning about the history of homes. You do an excellent job of sharing them. My hometown, Thompsontown, PA isn't nearly as "rich," but even so I've managed to unearth a few stories myself. Fun, isn't it? Chris, go back several months to my May 4, 2016, post about Ara Glen that sits on property that was once part of Camp Augustana. That should help you. Thanks for your kind words about my posts, etc! Seems like a great place to vacation up there. Thanks for the interesting posts, Pamela. Thanks for sharing this great information about Lake Geneva. Pamela, I always enjoy reading about Lake Geneva. Thank you for sharing. Yes, Lake Geneva, WI is definitely a vacation destination--either for a long weekend or a week. There are other lakes around there that are less expensive if you wish to stay for a week in a cottage and you can drive to LG for the sights and to take the boat ride around the lake to see the beautiful homes (many of these homes I've been featuring are still standing. It is the second deepest lake in the state, the largest being Green Lake which is a couple hour's drive north.